Los Angeles is packed with endless unique date ideas. One of the advantages of living here is that you don’t have to settle for dinner and a movie; you can easily ditch stale, tedious date ideas and let summer inspire you to get out of your comfort zone. Forget meeting up at any old bar. These suggestions encourage you to test your compatibility with someone over an escape room experience, discover your mutual love of animals on a wine safari, or learn some new skills together to keep things exciting and fresh. Since you probably already pay sky-high rent for a one-bedroom apartment in the Valley, you might as well benefit from the city’s endless activities. Here are 10 unique date ideas that you can experience in Los Angeles. 1. Cuddle under the stars while watching a movie at the Rooftop Cinema Club. Okay, we said the whole dinner-and-a-movie idea is overdone, but a trip to the Rooftop Cinema is a much more romantic setting than your crowded neighborhood cinema. It involves absorbing the LA skyline, snacking on bottomless popcorn, and cuddling on a rooftop under the stars. 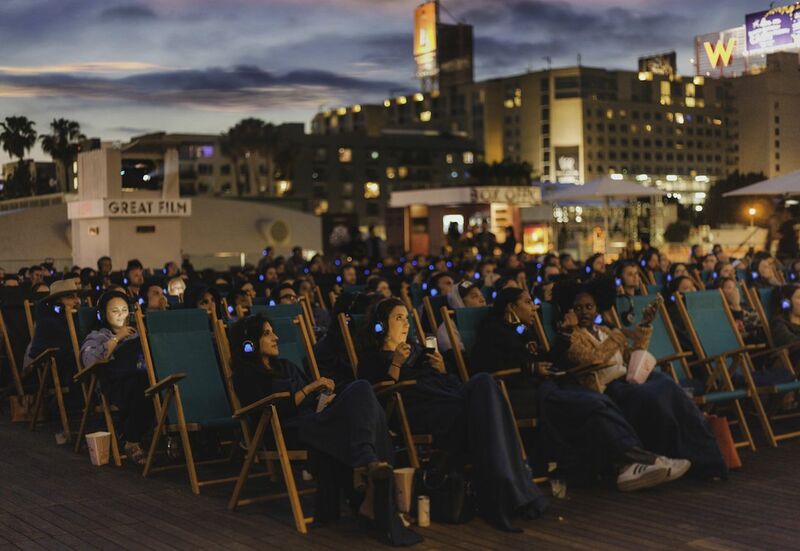 Rooftop Cinema Club has two locations, Hollywood and Downtown LA, and the cinema provides guests with deck chairs and wireless headphones. They play new movies as well as classics, so there’s plenty for you and your date to choose from. If you two want to get even closer, spend a few extra dollars and lounge on a double deck-chair love seat, which still includes the bottomless popcorn. 2. Tour the secret tunnels beneath the streets of DTLA. Many people in LA aren’t even aware that these tunnels exist, giving you a great opportunity to employ the element of surprise. Cartwheel Art’s Underground LA tour, in partnership with Hotel Indigo, will give you and your date insight into the secret passageways, which were once used to transport booze during Prohibition. You will venture below street level to visit hidden tunnels and former speakeasies. Afterwards, you may want to stop for a classy cocktail at a modern-day LA speakeasy, such as The Varnish or The Slipper Clutch. 3. Meet wildlife whilst wine tasting at Malibu Wine Safari. Don’t jet off on an African safari with your date just yet; you can have a similar experience in LA. This day trip involves a combination of wine and adventure. After driving along a scenic road through Malibu, you’ll arrive at Malibu Wine Safaris, where you’ll jump in a jeep and venture on your safari tour. You’ll get to feed zebras and camels, and you can even snap a selfie with Stanley, the giraffe that is all over Instagram. You’ll sip a variety of wines between meeting the animals, making for an action-packed day, which certainly beats your typical sit-down wine tasting. If you want to extend the length of your date, you can pack a picnic to enjoy on the grass area at Malibu Wines. Come during the week for a less-crowded experience. 4. Learn some new acrobatic tricks. If you’ve ever been to a Cirque du Soleil show, chances are you’ve gasped at the remarkable skill level of the acrobatic performers. Now there’s a way to learn some of those circus skills and get a fun workout while you’re at it. The Cirque School in Hollywood teaches Cirque 101 classes for $25 each and offers the chance to attempt static trapeze with the help of an instructor. The school also offers contortion classes and aerial fitness, which look easy but are actually incredibly difficult workouts. 5. Bike ride at night. The Passage Bike Ride is a weekly bike ride that starts and ends at a donut shop. The guides try to lead riders to lesser-known parts of LA, and the route varies each week to keep things interesting. You may hit up pool halls, bowling alleys, or karaoke venues along the way, and you’ll need to be prepared to ride up hills, through tight alleyways, and possibly hike some parts on foot. It’s definitely an unusual date that will require you to be up for anything. 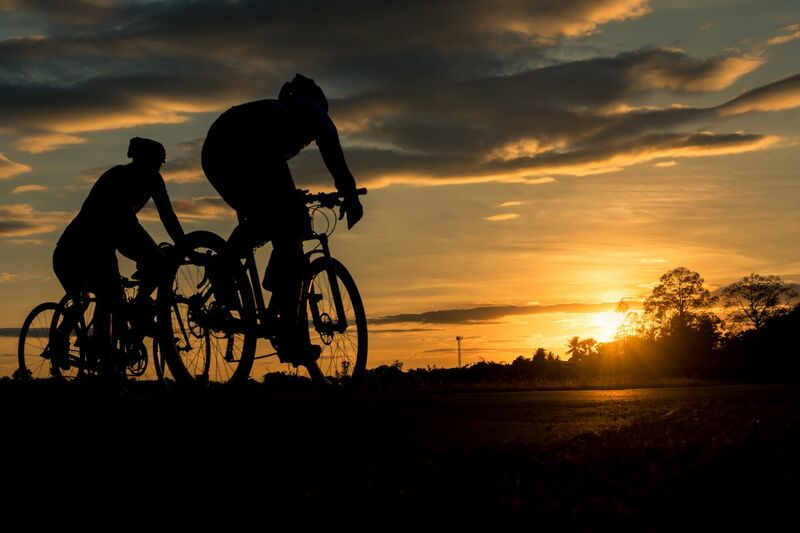 For this tour, you’ll need to bring your own bike and arrive early, as the riders leave right at 9:00 PM. 6. Solve problems in an escape room. There’s an old expression that says in order to really get to know someone, you should travel with them. However, placing someone in a high-pressure situation and forcing them to problem solve can also do the trick. Over the past few years, several escape room companies have surfaced in Los Angeles. You’ll find that some rooms have fantastical themes such as outer space, or a 1920s detective office, while others are just regular escape rooms. The thrill of an escape room is that you only have one hour to link together a series of puzzles in order to solve a mystery or escape a situation. Usually, an escape room involves groups of six to 10 people, so it won’t really be an intimate date, but it’s a perfect choice for double dates. Some escape room companies you may want to check out are 60 Out, Escape Room L.A., and Evil Genius Escape. 7. Play with adoptable animals at an animal café. Coffee and puppies are another great LA combination. Across the city, you’ll find animal cafés that offer customers the chance to cuddle adoptable cats and dogs whilst sipping on caramel lattes. The Dog Cafe in Rampart Village costs $15/hour plus the cost of drinks. Crumbs & Whiskers on Melrose costs $22–25 for a 70-minute reservation. If you wish to purchase drinks and snacks, you can have them delivered through Open Space LA. And if you really love the experience, you may just walk out as new pet parents. 8. Take a flight with the Pan Am Experience. These days, air travel is not the glamorous experience it once was. With The Pan Am Experience, however, you can sit inside an exact replica of a 1970s Boeing 747 and get a sense of what it was like to fly first class with Pan Am back in the day. During your “flight,” you’ll have the freedom to order drinks from the open bar, devour chateaubriand carved seat-side by flight attendants wearing the iconic Pan Am uniforms, and even shop for old-school items from the duty-free cart. While there, you can also tour Air Hollywood studios, which features airplane sets that have been used in countless films and TV shows. You might even get to sit in the same seat that Leonardo DiCaprio was duct-taped to in Wolf of Wall Street. 9. Take a horseback ride at Sunset Ranch. Several companies offer guided horseback rides through Los Angeles. However, Sunset Ranch does things a little differently. Sunset Ranch has day tours as well as evening tours, which is perfect if you want to ride into the sunset with your date. The horseback rides take guests through peaceful Griffith Park, where they can snap photos with a great view of the city behind them. The rides tend to go at a slow pace, so if you’re not an experienced rider, there’s no need to worry. On Saturdays, rides also end with a big BBQ and live music back at the ranch. 10. Share some laughs at a Groundlings show.